Are you eager to move your infrastructure into the cloud but unsure which services are right for your business? Our team can help. Cloud computing let’s your business focus on what it does best without having to worry about looking after IT infrastructure. 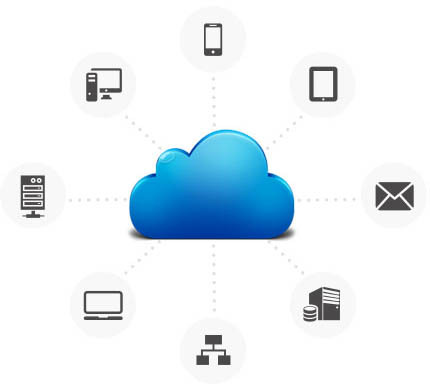 Cloud computing has many benefits: it allows you to scale your business with ease, allows for a high level of automation, and you only pay for what you use, making it a highly-efficient use of your budget. Our design team will help you take your ideas and turn them into a full product concept. Creating a full proposal ready for the design phase. Support through the entire lifecycle of your product or services. Once you’ve launched we’ll help test and maintain your infrastructure, dealing with security, compliance and maintenance. Amazon Web Services (AWS) offers businesses a highly available service that can scale as your business grows. Our team provides a consulting services for businesses looking to switch over to AWS. We will work with you to understand your business needs and help you find the best solutions. Are you considering migrating to the cloud? Our team can help – chat to us today.